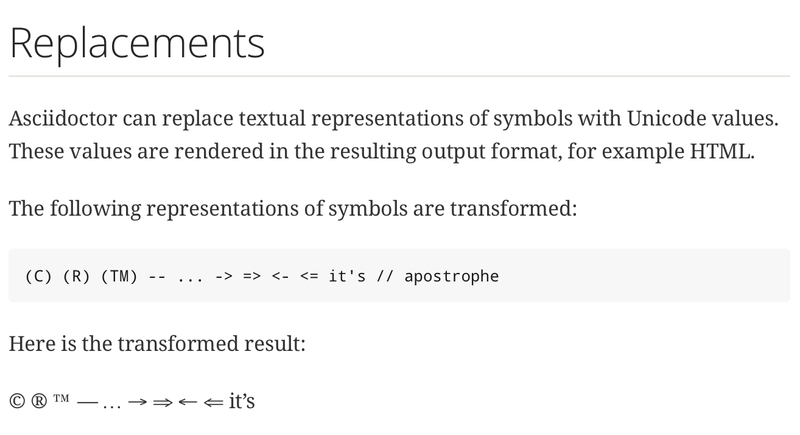 With Asciidoctor we can use text to describe a symbol in our markup. 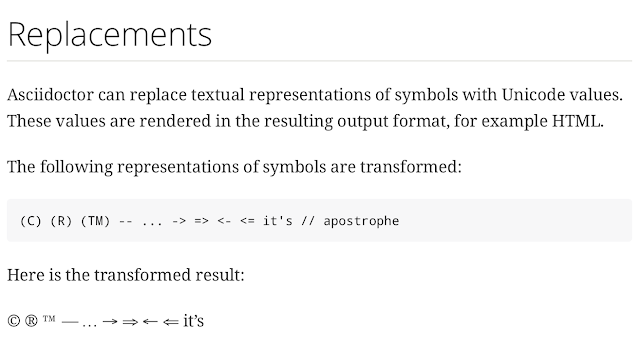 The text is automatically transformed to a Unicode replacement. For example if we use the text (C) it is converted to &#169; which is the copyright symbol: ©.